Would you like to win one of our two monthly cash prizes and help raise funds for Three Bridges Football Club? What about your friends and family too? If the answer is YES! Why don’t you join our 200 Club? Two cash prizes guaranteed every month with a £100 First Prize. 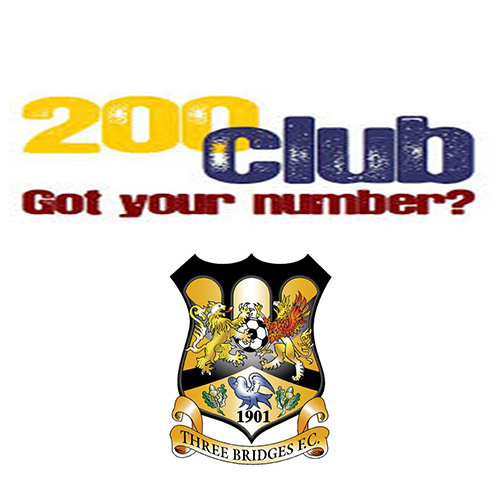 50% of the money paid into the 200 Club each month is paid out in cash prizes, so the more people we have join the 200 Club, the higher the prize fund will be and we will also be able to raise more funds for our Club! Membership is only £5.00 per month paid by standing order. Remember- You have to be in it, to win it! It could be YOU!